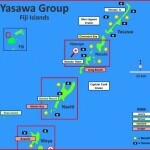 To ge t really know “Fiji” you have to spend time on either of the two main islands, Viti Levu and Vanua Levu. Frequently referred to as ‘the mainland’ Viti Levu is that hub of a place where commerce, industry and the place where government decisions are made. Two-thirds of the population lives in urban centers and it is on Viti Levu that you’ll find the country’s two cities: Suva, the capital and Lautoka, a port town reliant on the sugar-cane farms that surround it. 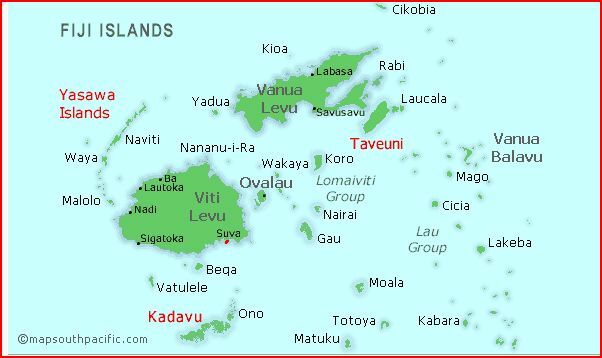 Vanua Levu is to the north of the main island. The area is popular with yachters and divers. 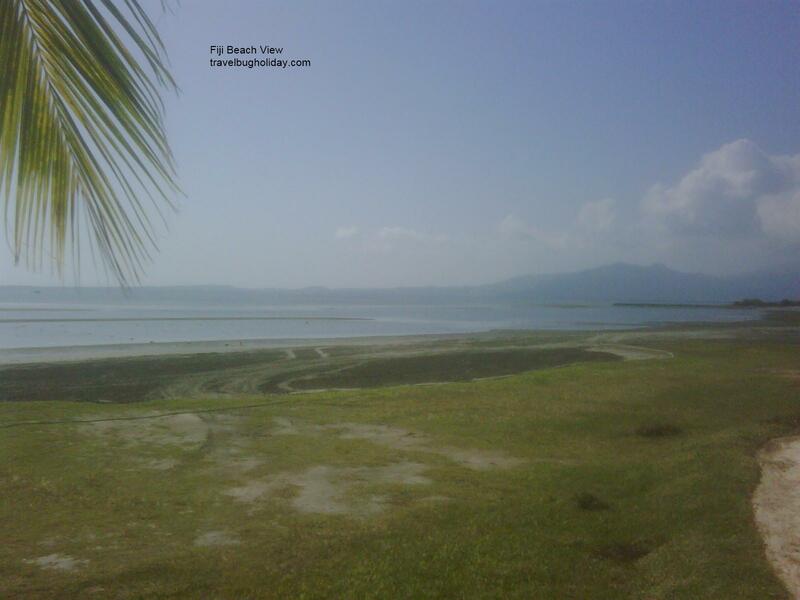 Vanua Levu is easily reached by frequent Air Fiji and Sun Air flights from Nadi or Suva. 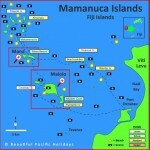 Traveling to Vanua Levu by boat takes a great deal longer and often it’s not much cheaper than taking a plane trip. 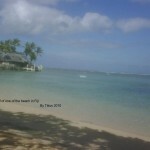 Fiji, I had heard before my trip, is the place to be when you want to get away from the winter blues. 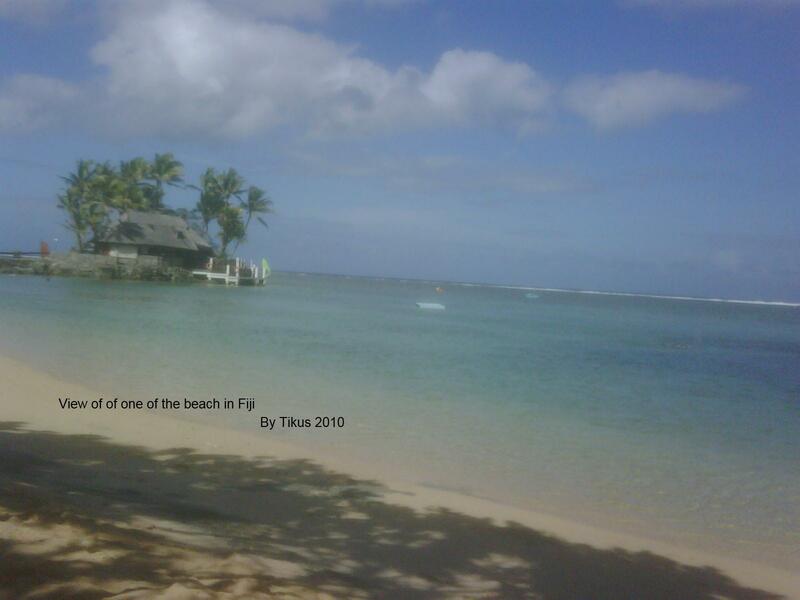 I had read that Fiji is the 2nd most sort after tropical holiday after Bali. I had been to Bali so I finally decided that I cannot delay this trip to Fiji any longer. I had a few times now made decisions to visit this beautiful paradise of white-sand beach with cloudless sky ) after hearing so much about its beauty and friendly people) but many times I had to delayed going there due to civil wars and cyclone. It says on travel brochures that Fiji, being in the tropical South Pacific, it is surely the tropical island paradise with white sandy beaches, swaying coconut trees, pristine oceans and waterways and a range of things to do and see that will appeal to the most discerning traveller. In terms of white-sandy beaches and glorious sunny weather, I found out that depends on which part of the island one goes to. Luckily I stayed in 2 hotels to maximize my relaxation and to see 2 parts of Fiji at the same time. Let me tell you about the first part of my stay in Fiji. My trip is to the famous Denarau Island for a sun soak relaxing holiday. I also wanted to experience things in the island. 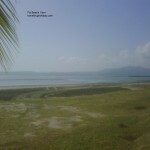 When I searched on the website for things to do or see in Denarau Island, there is virtually nothing much written on that. I was pretty disappointed then and I wondered if I would be bored. Anyway, decided that I cannot be bored “relaxing” .That is what relaxing means………”do nothing”, right? 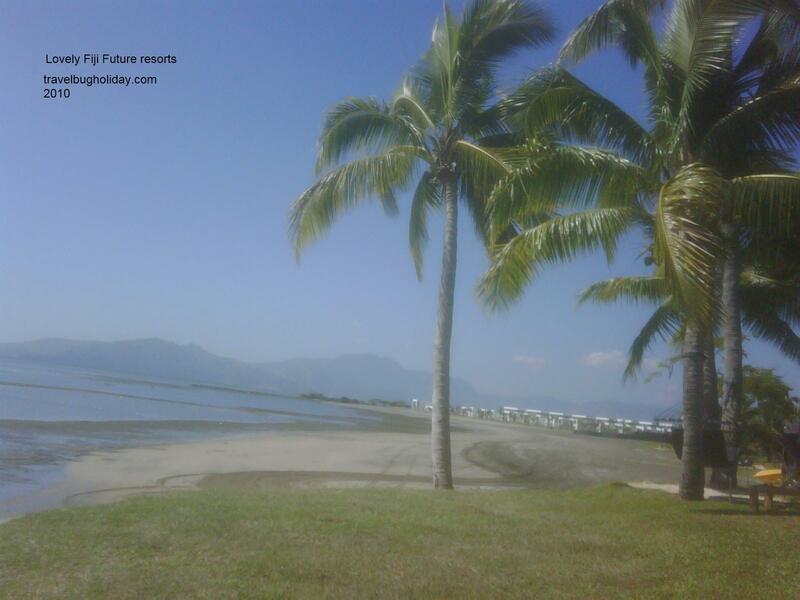 Denarau Island is a newest and latest resort /tourist area in Fiji. 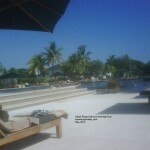 Resort names such as Sheraton, Westin, Hilton, Sofitel and WorldMark created the resort area in this island. Aside from these hotels, there are also residential villas (both publicly and privately owned) with private moorings line waterways amongst the tropical palms and coconut trees. I suppose Denarau is fast becoming famous because of the new port completed in late 2009, making access to other islands from Port Denarau much easier and faster than if you had gone from the Coral coast. 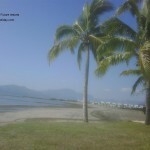 I walked to Denarau Port from my hotel and I saw many cruises and boat trips to the various islands in Fiji. 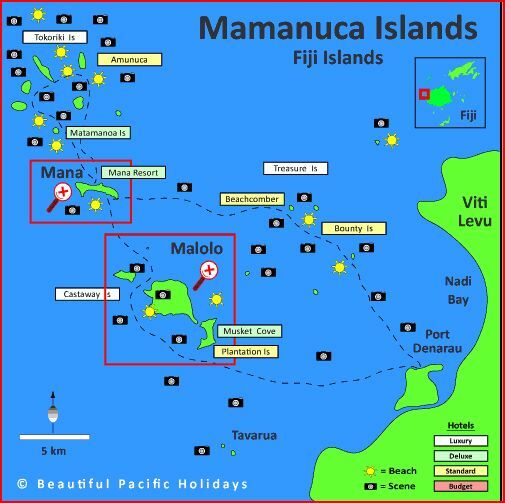 The brochures mentioned that the Mamanuca and Yasawa islands are places where Fiji’s movie stars goes for their holidays as their reefs and cobalt blue waters providing cinematic eye candy for films such as Tom Hanks’ Cast Away and Brooke Shields’ vehicle to stardom, The Blue Lagoon. 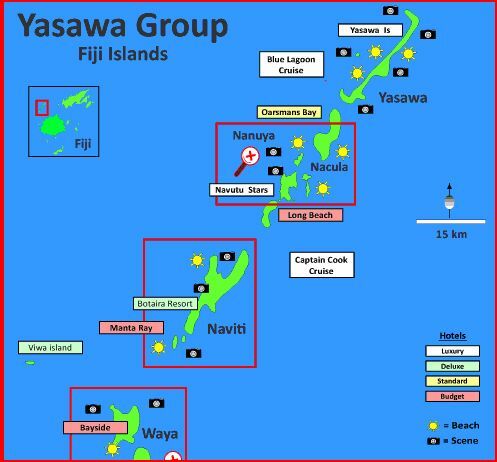 Northwest of Fiji’s largest island, Viti Levu, is the Yasawa Group, a chain of volcanic islands set to rival the better-known Mamanucas in the popularity stakes. 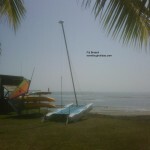 A daily catamaran sails its way from one bay to the next, dropping off and picking up travellers as it goes. The Yasawas are sparsely populated and the rainless dry spells that once made life so difficult for villagers is proving to be their greatest asset now. Local communities, inspired by the all these successes achieved through the tourist industry, have opened budget ‘resorts’ and show off their coral gardens and laid-back charm as ‘the real Fiji’. 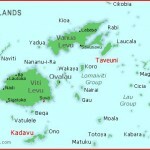 If you are in the Denarau Island of Fiji, the nearest Port to depart to these 2 island groups is the Port of Denarau. Going to these islands from the Coral Coast is definitely further and more costly. 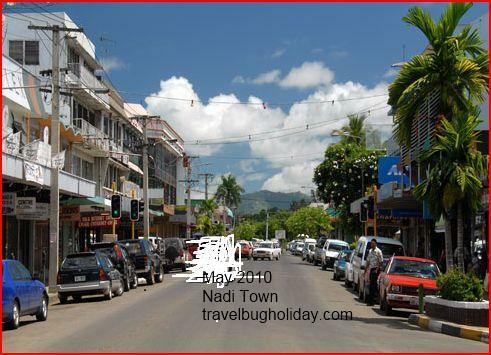 If you are here to unwind and relax and enjoyed the cruising and island hopping, then this place suits you as it is n ot far from the airport and only $12 taxi ride to town of Nadi. Hilton has rooms with kitchenette but other hotels doesn’t. So if you have the kitchenette in your hotel, you are better off going to Nadi town and get your fresh supplies and head back to your hotel to cook your own mean. I had just a 1 bedroom with balcony facing the sea. Infact I believe Hilton may be the only hotel in Denarau that have all their bedrooms facing the sea/ocean. I didn’t see any rooms at Hilton facing the garden etc. Sheraton, Sofitel, Westin etc have mixture of both ocean and garden views. The walk from Hilton hotel to Denarau port is only 20 minutes one way. The walk was very pleasant, no mosquitoes and a lovely breezy walk, not humid at all. 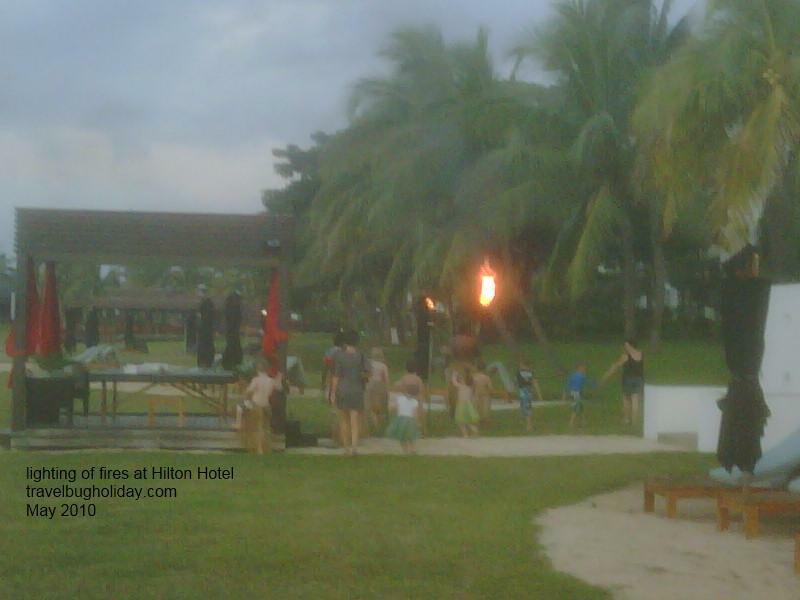 Footpaths were lit up at night to ensure you get there and back safely to your hotel. 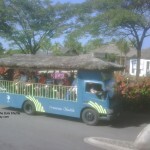 I could have taken the Bula bus that will cost me only $6 per adult for whole, day, departing every 15 minutes but I decided walking is better for exploring the area. This shuttle open bus was once free but due to the bad economy, I presume the hotels decided to charge a ticket price payable at the hotel lobby. It operates in a continuous loop from 7.30am to 11.30pm between the various hotels and the Port. 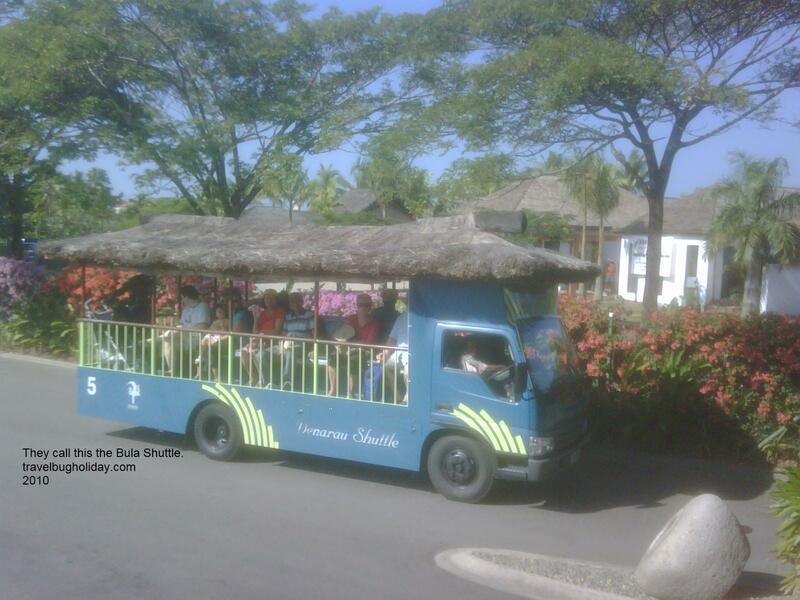 One can hop on and off from one resort to another in comfort. Children under 12 can ride with their parents for free. This is a great way to travel when you have children who might find walking a bit challenging with their short legs! Whilst at Port Denarau, check out the both that offers you free cruises. I was given a either a free Day Cruise worth $150 or a sunset dinner cruise worth $100 if I attend a 90 minute sale pitch at one of the hotels. I decided that $100 to $150 is not worth me spending my 90 minutes listening to the sales pitch. However it is free accommodations, I might have considered it!! If that is your thing, give it a go. It is FREE after all. 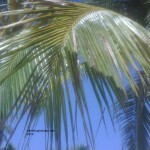 Most who visit Fiji wanted at least the opportunity to fall into a sun-induced coma under a palm tree. On this score, Fiji doesn’t disappoint me. If you are a beach kind of person, forget Denarau Island as the beach was once a mangrove swamp and you can imagine what the sea water is like, much like the kava drink. In the whole week I was there, I only saw a handful of people going sea dipping, not swimming. You just have to dip your toes in the sea to notice the muddy colour water. I didn’t feel the need to go any further. Those who are into diving, snorkeling took the boat/cruise tours at Port Denarau or settle for tours organized form the hotels and visited the many lovely white sandy beaches elsewhere. 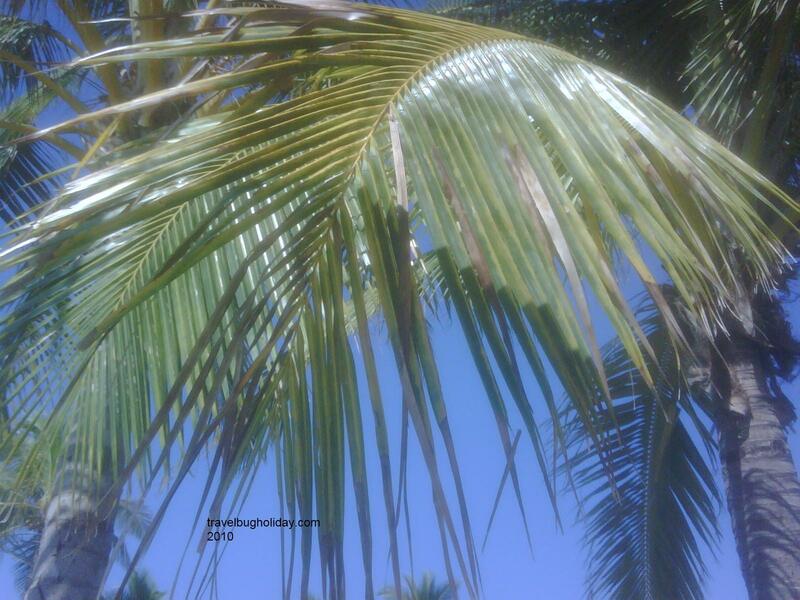 However if you are really into sun baking, the Denarau Island is the place to go as weather here is much better that the Coral Coast as it is sunny 100% of the time. (in my experience). While I was there for the whole week, I had nothin g but sun, not a drop of rain. Whilst I was there relaxing by the pool, I was surrounded by 90% Australians holiday makers. Not many other nationalities at all. 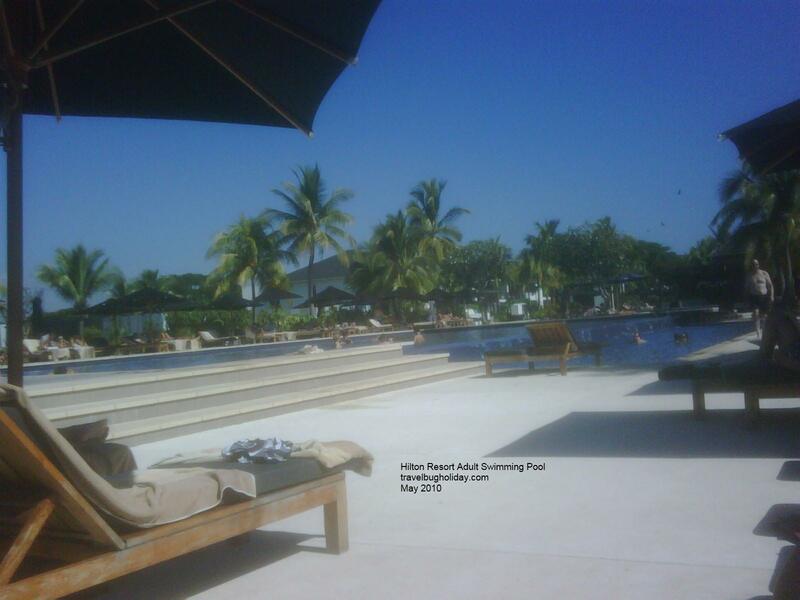 In the pool, whilst cooling down, we swap our holiday stories and Fiji shopping experiences. 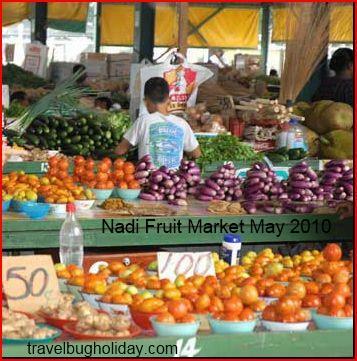 Denarau Island is nearer to Nadi town so if you are in this part of the island, visit Nadi town and you won’t be disappointed if you are into shopping and eating. 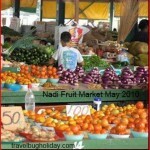 You could easily spend a whole day browsing for souvenirs and checking out the local products from the open-market and eating the scrumptious food from the many restaurants in Nadi that suits your budget, not hotel prices. 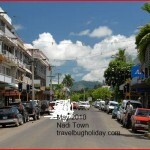 I find that I enjoyed the lunch in Nadi town better than the meal at the Hilton hotel. Although I must say the breakfast (Fjian40) at Hilton is well worth the costs. Yummy……. I met a few young ladies who attended their friend’s wedding, held in Fiji. I was told that the bride-to-be had a few hiccups with getting the flowers she wanted as the Fijian say “Yes” to her request and didn’t provide what was agreed to. I suppose the Fijians people being too accommodating didn’t want to say “No” and tried to accommodate but fail most of the time due to whatever circumstances. Also she had problems with getting her request confirm on time. 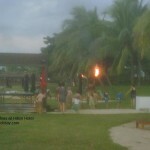 Lucky all went well as I saw the wedding dinner at the beach in another hotel. Things progress in Fijian time, I am often told. Whilst sun baking near the pool, I saw adrenalin pumping tourist overhead me with their sky-diving or parasaili ng as their jet boat whizzes through scary maneuvers at break-neck speeds in the sea. Not my cup of tea! Looks interesting though but……. Overall, I wasn’t bored, put on weight, read 2 books and my blood pressure was down… what more do I need?